President Jacob Zuma on Sunday said he had received and accepted the resignation of two members of the SABC board. At the start of the month, board members Krish Naidoo and Vusi Mavuso announced their resignations at a meeting with parliament’s communications committee, effectively rendering the now four-member board defunct. They had spoken out on the board’s conduct and poor processes. MPs heard that neither member had seen a presentation on the national broadcaster which was put to the committee. SABC executive Hlaudi Motsoeneng sat behind the two as they described the erosion of the board. On Sunday, Zuma thanked Naidoo and Mavuso for their contribution and wished them well in their future endeavours. Earlier this week, an ANC MP said the remaining members of the board would not win the fight to cling to their positions. This was after the board members were sent letters by parliament’s communications committee asking them to resign and some, including the chairperson of the board, flat out refused. ANC MP Mziwamadoda Kalako on Tuesday bemoaned the “shenanigans” of the board and said it was now up to communications minister Faith Muthambi to dissolve it. The SABC is supposed to appear in front of the committee next week to present its annual report, but the board members are not invited. The Democratic Alliance, meanwhile, recently filed papers in the Western Cape high court to have Motsoeneng’s appointment as group executive of corporate affairs declared invalid. Motsoeneng was the former SABC chief operating officer. In its application, the party wants to prevent Motsoeneng from serving in any senior position at the SABC, unless the public protector’s findings about his conduct and character were reviewed and set aside. On 19 September, the supreme court of appeal rejected Motsoeneng’s bid to appeal the Western Cape high court’s November 2015 ruling declaring his appointment irrational and setting it aside. Public protector Thuli Madonsela found in a report released in February 2014 that Motsoeneng had lied about his qualifications when he applied for the post of chief operating officer, that he hiked his salary from R1,5m to R2,4m in one year, and that he purged senior staff. Despite these adverse findings, the SABC announced on 27 September that Motsoeneng would be appointed to the corporate affairs post. 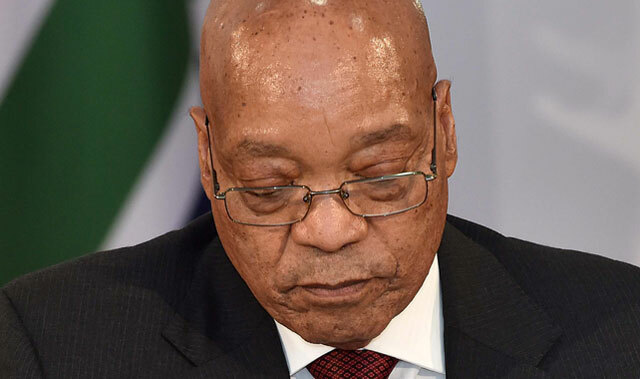 With his head down, I almost read : The ANC accepts Zuma’s resignation. Anyway, one must never stop dreaming and hoping. In 2014, Hlaudi’s salary hiked to R 2.4m, in the meantime it has seen a meteoric rise to R 4.1m per annum. Plus his R 34 m bonus. If the board is not legally constituted, i.t.o. the P.F.M.A. any remuneration received by the remaining members must be classified as fruitless and wasteful expenditure. Surely, J.Z. has no option but to dissolve the board,. ……….if he has the backbone. At the present moment, the SABC board are roughly number 2566 on his list of Things To Do Today I would imagine.